Clinical Notes: Different Venous Catheters: What is PICC, Hickman, Quinton, and Port-A-Cath? Different Venous Catheters: What is PICC, Hickman, Quinton, and Port-A-Cath? This is the standard central line we use. It is also called triple lumen catheter (TLC). Correct placement of right IJ TLC in distal superior vena cava (SVC). 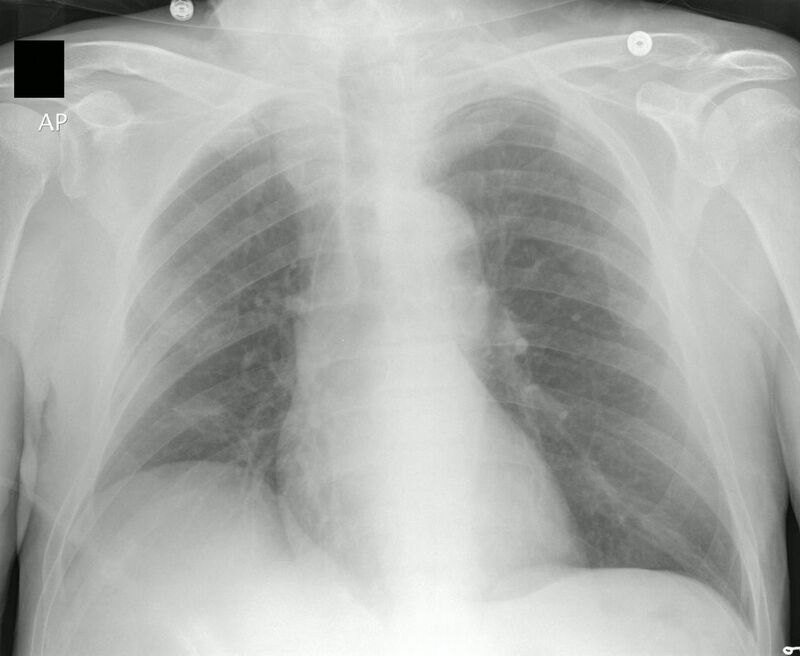 A right-sided pleural effusion is present. CXR report: Left ventricular enlargement. Calcified left perihilar lymph nodes are present from remote granulomatous disease. A calcified granuloma is in the left lower lobe. Left central line is in the left innominate vein. A large-bore 2- or 3-lumen catheter used for hemodialysis. It functions as a bridge device during fistula maturation or a long-term vascular access for hemodialysis. A brand name is Quinton Permcath (sometimes called Permacath). The peripherally inserted central catheter (PICC) is inserted through the arm and threaded into a central vein. No surgery is needed. PICC is used for antibiotics (HIVAT) or chemotherapy. HIVAT is an abbreviation for home IV antibiotic treatment. PICC Line - correct position. CXR report: There is a focal area of subsegmental atelectasis or fibrosis in the right lung base. There is a left PICC line with its tip in the mid portion of the superior vena cava. PICC lines enter a large central vein and a CXR is mandatory before the line is used to make sure that the line is in the correct place - in the distal portion of superior vena cava. PICC line can stay in place up to one year. A midline is a 7-inch catheter (shorter than PICC) inserted in the antecubital region with the tip located in the axillary region. 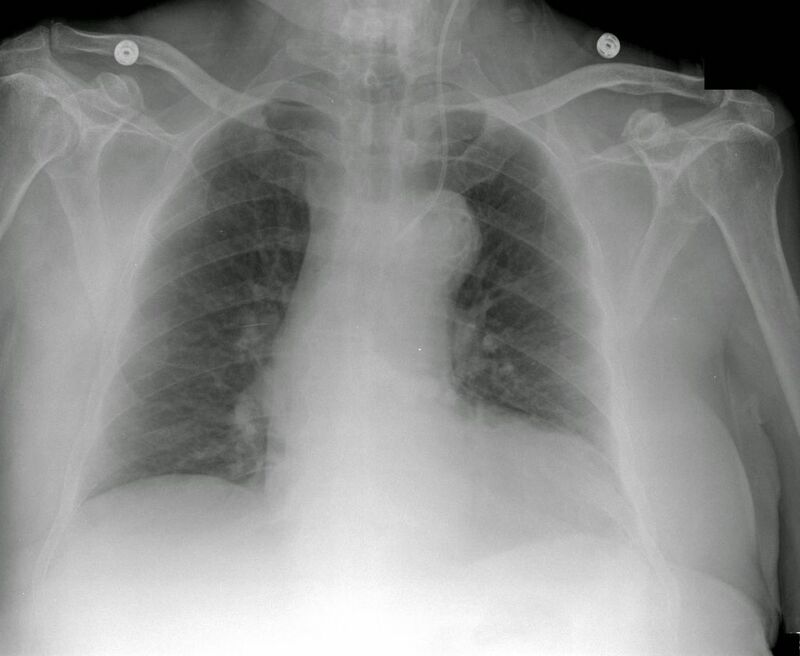 Thus CXR is usually not needed. Midlines can be used up to 4 weeks. Midlines are sometimes called halfway catheters because they end halfway to the superior vena cava. Midlines are not suitable for total parenteral nutrition or chemotherapy. The Hickman catheter is tunneled for several inches beneath skin from entry site to vein. This is a catheter with multiple lumens which is surgically placed in a large central vein. This is a port of plastic or metal with a silicone septum. The catheter is surgically placed under the skin of the chest in a large central vein. The port is accessed by a needle and it is usually used for chemotherapy. Vascular Access: Surgical Perspective. eMedicine, 2006. Central Venous Access. eMedicine, 2005. Different Ways To Give Chemotherapy. American Cancer Society, 2006. 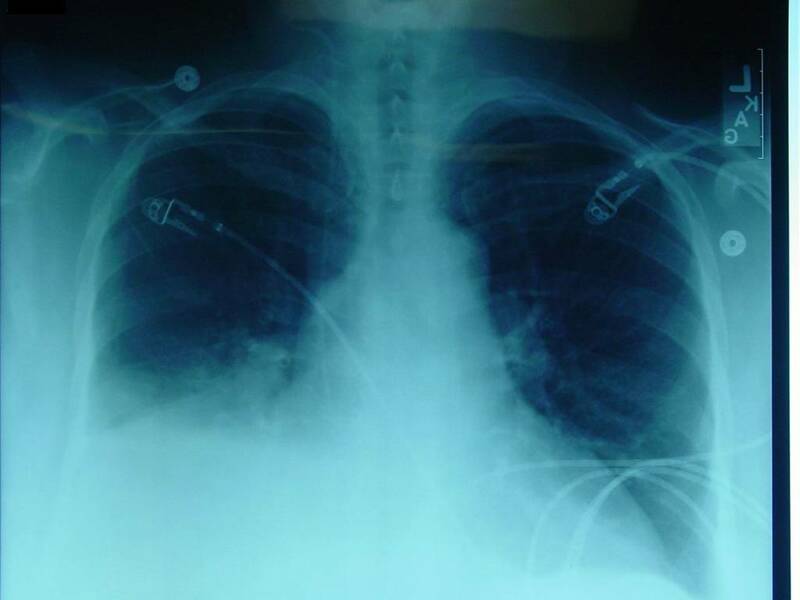 Do you order a CXR for Midline placement? Clinical Notes. To my knowedge a mideline can be in situ for max. 12 months nowadays!